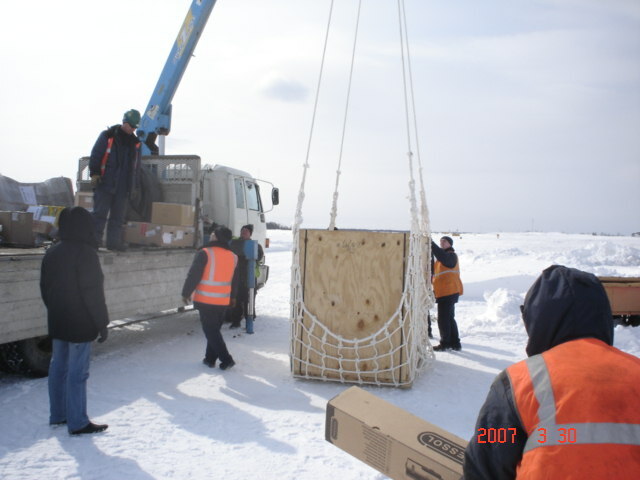 Emmetts Ropes has been manufacturing cargo nets since the beginning of the business in 1976. We offer traditional knotted type cargo nets with fully spliced borders and slings up to a SWL capacity of 5000kg . 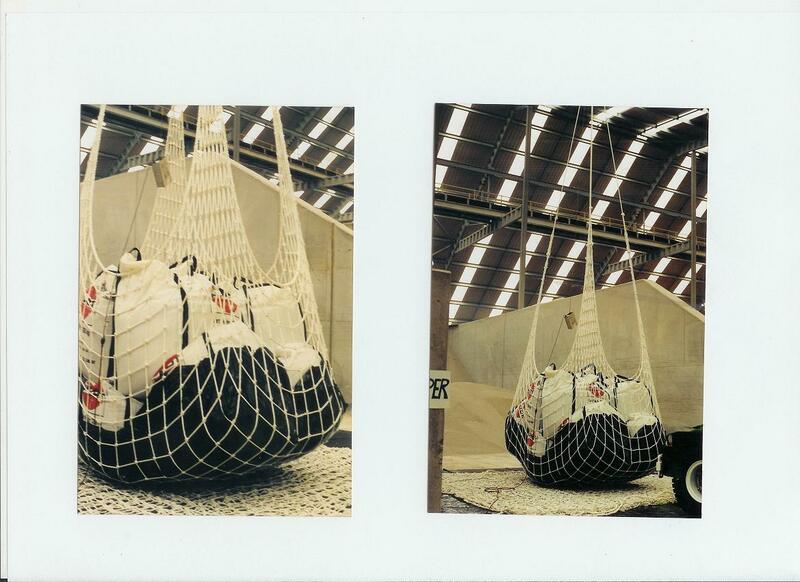 Our cargo nets with a SWL of up to 5000kg are all made to B.S.6756:1986. If your requirements are above 5000kg we can cater to your needs with a net formula that we have used successfully for 30 plus years. These larger nets are not made to a relevant standard but are very similar in specification to the British Standard Cargo Net. 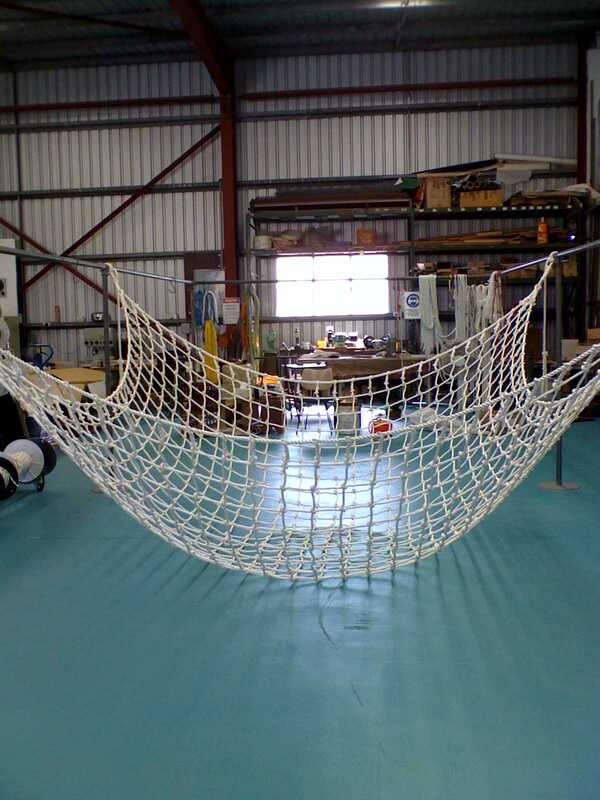 We can manufacture Cargo Nets from traditional fibres such as Manila and Sisal or modern synthetics such as Polyethylene, Polypropylene, Nylon or Polyester. Emmetts Ropes also makes lifting slings from any natural fibre or synthetic material offering a custom SWL when required. With all of our net products being handmade we can cutomise material size, dimensions and mesh sizes to suit any application, we can also supply small machine-made net overlays to prevent small loose items from falling through the Cargo Net. 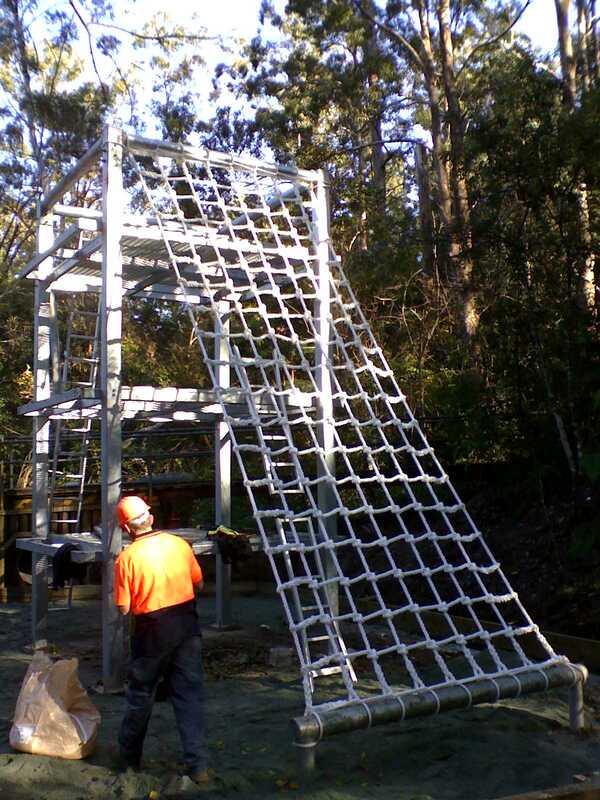 Cargo nets are not only used for lifting applications but are also required for Heavy Duty Obstacle Courses, Emmetts Ropes has worked in conjuction with many Civil Engineering companies in the design and development of MilSpec obstacle courses. 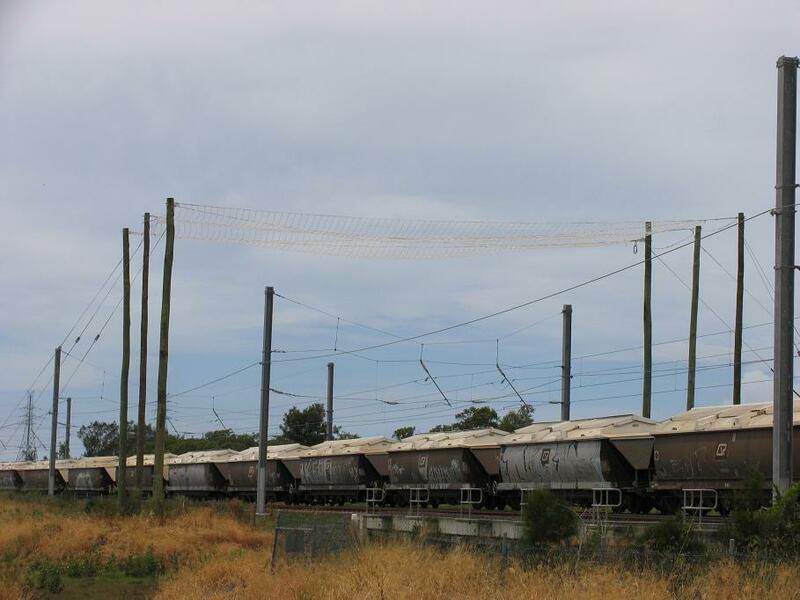 Other applications where a cargo net can be used is Pallet Racking Safety Netting, Live Wire safety nets for the Energy industry, Pond Exit Safety Nets and many other purposes.